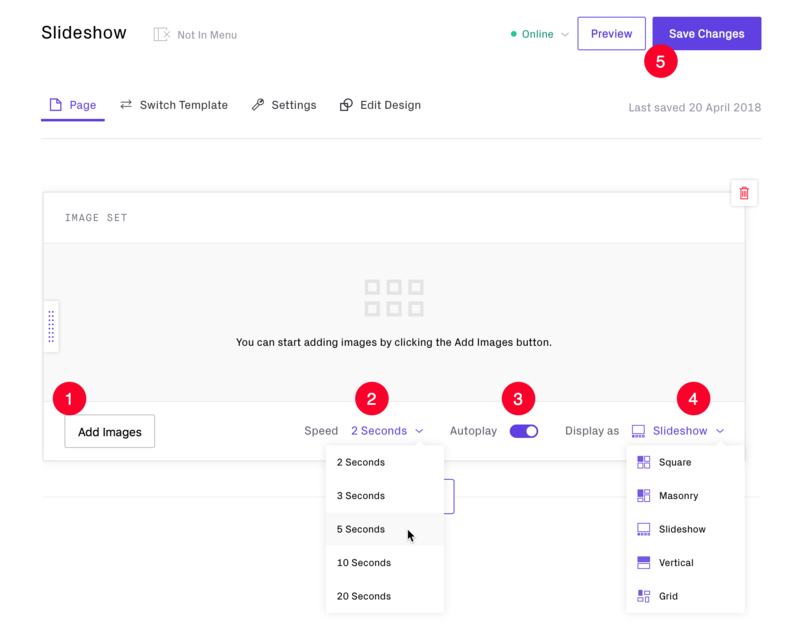 Use an Image Sets section on a Custom Page to create an image slideshow (carousel) to display your images and set the transition speed between them. Select Slideshow with thumbnails underneath. 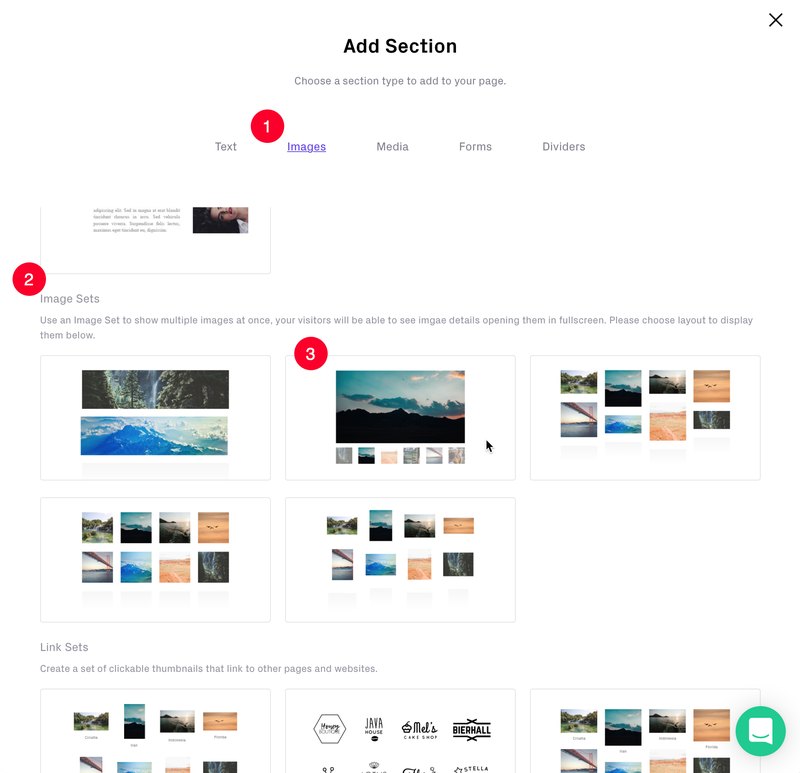 You can change the way your images are displayed at any time with the style dropdown (so you don't need to re-upload if you decide not to use the Slideshow option).